Rototom Sunsplash is more than a festival. It is an idea, a way of understanding life, a way of relating to others, applied to a cultural event located in the beautiful city of Benicàssim in Spain. Back in 1994, few people would have ever imagined that such an event, conceived for and addressed to a niche audience, would become so big. Today Rototom Sunsplash, even without large sponsorship and adequate public funds, has grown so much that it is considered one of the most massive and important festivals in the world. The secret to its success is not only due to a re-birth of the general interest in reggae music, but also to a format and context that is appreciated by the people. The result is an event that stimulates the interests of a diverse public that goes beyond the simple matters of musical tastes. Nowadays, people who listen to reggae music and who come to Sunsplash are fascinated by a lifestyle and a means of connecting with others that focuses on peace, tolerance, respect, solidarity, brotherhood, and nonviolence. It is this unique and valuable social context that has led to the explosion of the “Sunsplash phenomenon,” which has been reviewed, studied, and explained by groups ranging from the media to university students as a significant cultural event, much more than just a simple musical experience. For years we’ve insisted on the concept of “meeting,” extending the duration of the festival to facilitate moments of socialization, as well as increasing the quantity and quality of side-events such as conferences, debates, meetings, workshops, movies, and therapies for general well-being. And every year, just like magic, a little city with no written rules is born. Here you can easily become friends with your neighbours. Courtesy is the rule, and spontaneous solidarity and exchanges of kindness are abundant. Instead of mistrust for those who are “different,” people show curiosity and the will to understand. Everyone, at least for one week, trusts in each other, opens themselves, and lives in peace. This is some sort of “parallel world”, created by the good will of all who are present. This is the most important aspect of the festival: it’s not “who’s playing on stage” that really matters, but rather the experience of being there and living these emotions and values together, and listening to the music that, above all, addresses what we believe in. And that’s the essence of reggae music. This is why we suggest experiencing and interpreting Sunsplash in this way. Respect your neighbour, make the effort to be open to meeting other people with trust and good vibes. Let’s try to create a new world, starting from ourselves– from what’s inside us. What happens during the days of the festival can also happen after “our Sunsplash” has ended; what we carry inside can affect who’s around us and last for a lifetime. WE JUST HAVE TO TRULY BELIEVE IN IT! The Rototom association was born in 1991 out of a meeting between four people. Since then the entity has managed two nightclubs, hundreds of concerts, squatted an abandoned factory to create a cultural centre, organized marches for peace, and created the biggest reggae festival in the world, the Rototom Sunsplash that celebrated its twentieth edition in 2013. A small group united by deep passions. Much suffering, little money, so much music. The Italian region. A great challenge. The Rototom association was born in 1991 out of a meeting between four people. Since then the entity has managed two nightclubs, hundreds of concerts, squatted an abandoned factory to create a cultural centre, organized marches for peace, and created the biggest reggae festival in the world, the Rototom Sunsplash that celebrated its twentieth edition in 2013. From the beginning they faced many difficulties and had to struggle to keep the project alive. In the end they even had to leave Italy, emigrating to Spain. Today, 20 years on, Rototom explains its birth, the decisions that were made, the paths taken, the difficulties faced and the successes achieved, because the future is yet to be built. The memories of the organizers, the people who knew the festival in Italy and many artists, are combined with the reflections of some of the biggest organizers of major Italian music events. This all serves to build a story, influenced by individual and collective decisions, predominated by the Italian cultural and political scenes. The Rototom nightclub was born at the end of 1991 in Gaio di Spilimbergo (Porderone, North East Italy), a hall that would host all the alternative music of the time (from the Ramones to Sick of it all or CSI). Founded by four people, from the beginning it was a project that combined friendship and work. As Costantino, one of the protagonists, remembers it “the club was downstairs and we slept upstairs”. The club also became a reference point for those who were looking for an alternative life experience in this province in the North East of Italy. It was also in Gaio, that the Rototom Sunsplash reggae festival was born in 1994. The images of today intermingle with those of the past. Together with the stories of the founders and the people of Spilimbergo we also find personal anecdotes of friends like the musician Michele Poletto, the musician and compositor Teho Teardo, the founder and director of Arezo Wave Festival Mauro Valenti and the musical group BTK. In 1998 the Rototom experiment has to find a new headquarters because it has become too big. Scores of artists, some of whom were already important figures internationally, such as Bill Evans, Michel Petrucciani, Ozric Tantacles or Massive Attack perform in the Rototom of Zoppola (Pordenone, North East Italy). On the other hand the likes of Elisa, Vinicio Capossela or Irene Grandi, are establishing the bases of their respective careers. Alfredo Follia, who was gay then and is now transsexual, remembers that it was here that initiatives were organized in defense of gays, lesbians and their sympathizers. Talking about this new stage, in addition to the organizers’ testimonies and archive material, we have Paolo Baldini (musician, bass player of Africa Unite) Teho Teardo, Marco Boccitto (editor in chief Il Manifesto), Michele Poletto, Misty in Roots (British music group) and Pier Tosi (DJ and reggae expert). In 1998 the Sunsplash festival is based for two editions in the campsite Giralsole, in Latisana (Udine), on the coast of Friuli. There is a great number of people and the festival stops being attractive only to reggae lovers to become on numerous occasions a symbol of music and peaceful coexistence. It’s the years of war in the Balkans and in 1999 the Rototom association organizes a memorable concert for peace in front of the NATO air force base in Aviano (Italy). The presence of a reggae festival on such a touristic coast did not go unnoticed and in 1999 the presence and interference of the security forces became unsupportable. 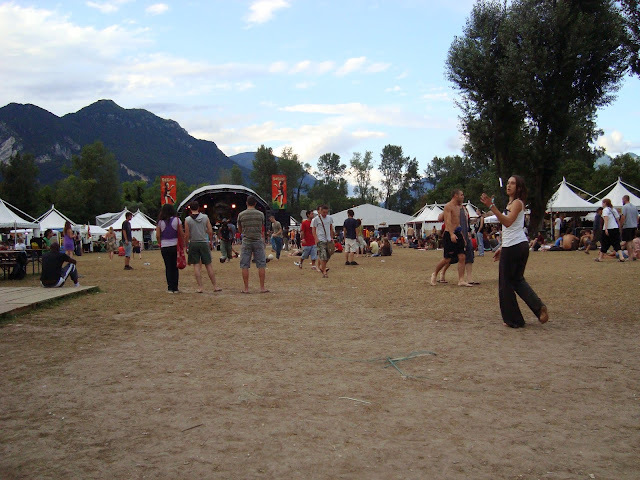 The Rototom association became a landmark in the reality of Friuli (North East Italy) and made a name for itself together with other cultural and musical realities from the area in 2000 during a squat that was as short (three months) as it was vibrant and important in the memories of all of those who participated. During this period the old Cerit factory was squatted, centralizing the local cultural scene. The event is commented on by Teho Teardo, Piero Colussi (founder of Cinemazero), Flavio Massaruto (jazz music expert). Thanks to archive images from the Friuli Film Archive, we recovered the history of the Friuli region, the war or the earthquake for example. As Sergio Colussi explains, “we are a region in which the people are used to working hard to achieve their dreams”. The founders of Rototom landed in the outer boundaries of Italy: Gorizia. It was an important border because it separated the country from the communist bloc. Some of them knew each other from school and others met up at the end of the 80’s in the town’s first music bar, the Baobar, managed by Filippo Giunta, president of Rototom. They all lived together in a country house, Villa Sparta. It was precisely because of this that they were invited in the form of “Spartans” as special guests on Daria Bignardi’s television programme about alternative families, “Tempi Moderni”. Friendship is the mortar that helps to overcome the difficulties and permits the big jump. In 2000 the Sunsplash festival is established in the park of Rivellino de Osoppo (Udine), where it will stay for ten years. After overcoming numerous economic difficulties, the association finds the time to organize a music festival for two years in Brazil, in Chanoa, Chamas. In Osoppo the festival gains importance internationally and manages to bring 150,000 people together to enjoy ten days of music and camping. There is an incredible atmosphere. The space dedicated to debates grows to such an extent that it becomes an essential characteristic of the festival, gathering scores of speakers from different parts of the planet, with crowded daily sessions. The alternative character of Rototom and above all, the entry into force of the Fini-Giovanardi Law on drugs, was the basis for what became repressive wave against the festival (“in 2009 there was a real war against Sunsplash” affirms the lawyer Mario Cudini) that led the organizers to decide to leave Italy, as Filippo Giunta explained dramatically from the stage during the farewell of the 2009 edition. The chapter contains testimonies like that of Viviana Londero (ex-lord mayor of Ossopo), members of the Ossopo Civil Defense, Mario Cudini (lawyer), Africa Unite (Italian music group). 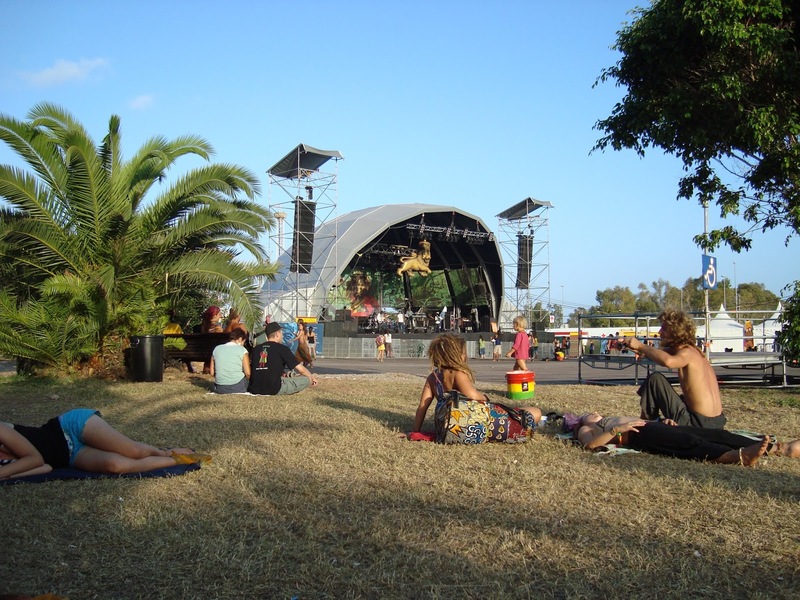 The day after the closure of the 2009 edition, Rototom voted unanimously to leave Italy. Spain was the chosen destination. It was then that the expensive and tough (and well documented by the organizers themselves) job of finding a new place (“you feel like you’ve been kicked out of your own home”, Manuela remembers) until making it to Benicàssim, Valencia (2010 edition). The reasons behind Rototom’s move are in part attributable to the Fini-Giovanardi Law but are also the result of a complex situation that reflects the difficulties faced by independent promoters when promoting culture and, organizing festivals and big events in Italy. The chapter includes the interventions of the jurist Stefano Rodotá and the Italian band Mellow Mood. The 2013 edition represented the 20th anniversary of the festival, that in Spain grows more than ever, despite the fact that there are still many ideas (“we almost feel more at home in Latin America than in Europe at the moment”, Filippo Giunta affirms). This is when the Reggae Contest Latino is born, covering numerous South American countries (Argentina, Uruguay, Colombia, San Andrés, Venezuela or Chile). To assess these 20 years of history we have the testimonies of the organizers, together with those of Claudio Trotta (Barley Arts), Sergio Giuliani (music event organizer, Rock en Roma) Mauro Valenti (Arezzo Wave festival), Marco Boccitto, Flavio Massarutto or the Nobel Peace Prize Laureate Rigoberta Menchú. Promoting peace, equality, human rights and social justice has been a constant for us since our beginnings as a festival, in 1994. In addition to promoting a variety of music, throughout our history we have placed particular emphasis on the promotion of the values which make it possible for a society to advance in the most just and fair way possible, nurturing in the small area, which year after year, becomes the festival area during Rototom Sunsplash, a different environment in which another world truly is possible. From our very beginnings, the culture of peace has always been present in our way of understanding, not just in the festival, but in life in general. Due to this, and the possibilities we have had, we have developed all kinds of actions in order to demonstrate that, through volunteering, it really is possible to create efficient channels of communication and an alignment between different cultures and people from all over the world, regardless of race, religion, borders and perceived physical and ideological barriers. As a result of our work in the promotion of a culuture of peace and non-violence we have had the honor of being recognised by the United Nations Educational, Scientific and Cultural Organization (UNESCO) as being an Exemplary Event, following the International Decade for the Culture of Peace and Non-violence. With this recognition, UNESCO have shown consideration for our efforts in promoting multiculturalism and dialogue as a fundamental tool for the peaceful resolution of conflicts. This has enabled us to grow exponentially over the last 22 years and become a global reference point as an alternative festival model, which gives us great pride, and also, a great responsibility to continue promoting sustainable cultural events in which people of all ages have the opportunity to live, share, learn and discover together through workshops, activities, food, music and cultural debates.